Kansas metal garage kits are pre-engineered building systems lasting decades. 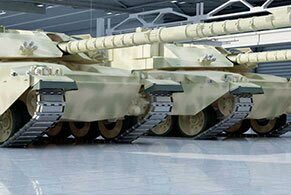 Custom design and price Kansas metal garages, steel arch buildings and garage kits using our price calculator or our discount quote calculator. Or check out our clearance sale prices for garage kits we already have in stock. 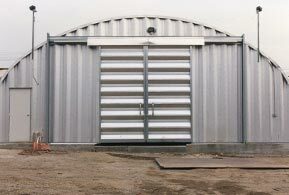 Metal garages are manufactured with your choice of 14 to 22 gauge 80,000ksi tensile yield carbon steel coated with aluminum-zinc alloy and silicon to last a guaranteed 40 years. 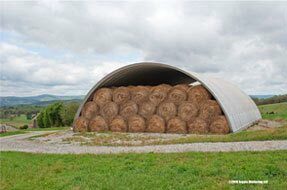 The panels that make up the entire building are roll formed and have a 7½" deep corrugation with two rows of grade 8 commercial bolts for reinforced strength. 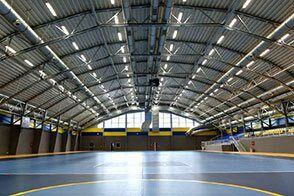 Your building comes with insulated walk through and overhead doors that are also made of heavy gauge steel. Choose from 3 different types of insulation for your walls and roof along with custom ventilation and skylights. 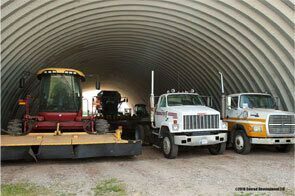 When you are ready to order your metal garage kit, we will help you with getting permits, land surveys as well as pouring your foundation and erecting your building. Our turnkey services provide everything you need from planning and construction. Access our nationwide network of sub-contractors who are certified and have solid reputations. 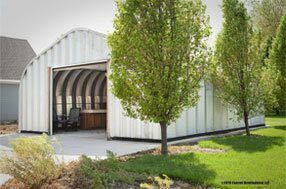 The paint colors used on your Kansas metal garage kit have a silicone-protected polyester coil coating system designed exclusively for steel buildings and comes in several colors that are Energy Star and LEED compliant. 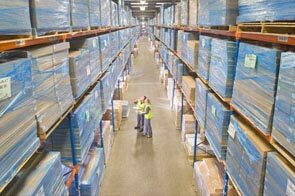 Metal Building Kings® distribution locations in Wichita, Kansas City, Topeka, Olathe and Overland Park are set up to efficiently and cost effectively deliver your orders to all 2.904 million residents in 105 counties state wide. 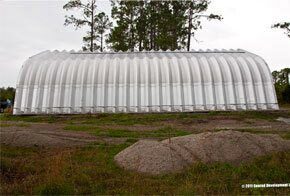 Choose from 4 different metal garage models with different sidewall and arch designs. You can browse the different building here. 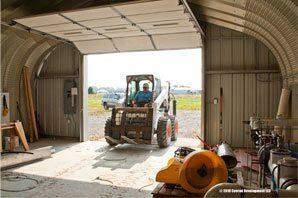 Metal garage kits and steel buildings are popular in Kansas for workshops, warehouses and storage facilities for both business and home use because they are certified as the best pre-engineered building system to withstand tornadoes with up to 170 mph winds. 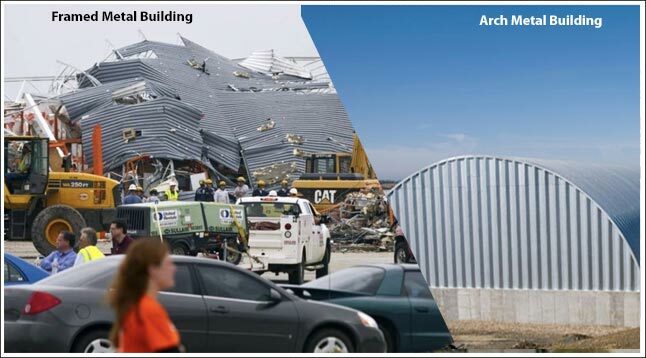 Right in the heart of Tornado Alley, Kansas has witnessed the destruction of commercial buildings that are only required to have a 90 MPH wind certification. As you can see here most I-beam, rigid structures can't survive this amount of wind. 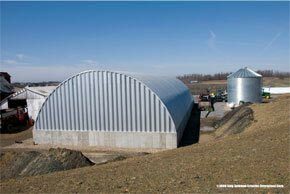 Arch steel buildings are secured right into the foundation with base plates and bolts that hold down the structure. 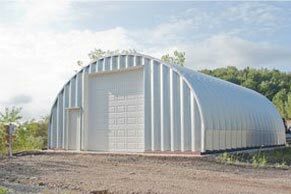 The arch design allows our metal garage kits to stand up to high velocity wind like no other prefabricated or pre-engineered steel building can. 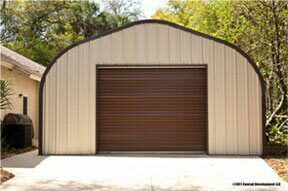 We do not cut corners in our metal building's integrity and your safety and because of our ability to manufacture these buildings they way we do, our prices are among the least expensive among all types of metal garages. Be sure to check out our clearance sales going on that have in-stock buildings and garages at discounted prices. Also learn more how your Kansas metal garage is priced out by visiting our pricing page. Read here for more on Kansas building codes. • The P Model for Kansas workshops, residential and small business.